Our focus at Sheans Horse Farm, is to provide a fun, engaging learning experience for riders of all abilities. 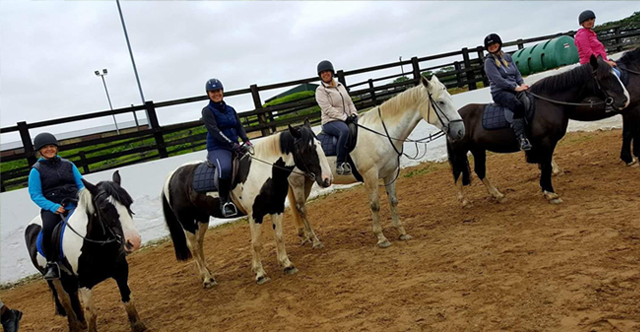 We offer lessons for children, adults and masterclass sessions for those who want to learn a little quicker or for people who want to get back into horse riding again. 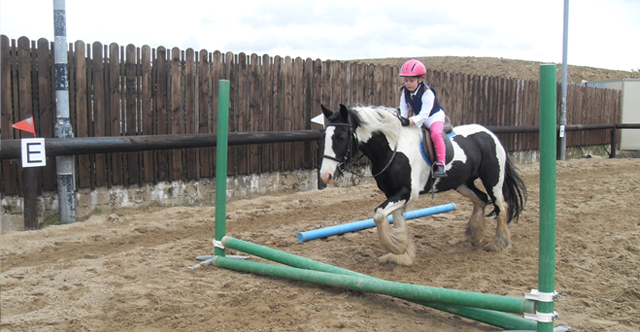 We offer riding lessons for children from ages 4+ and can cater for all levels of ability. Lessons occur on Wednesday and Friday evenings and from 9am to 5pm on Saturdays and Sundays. At Sheans, the emphasis is on making riding a fun learning experience! Lessons are limited in size which means that progress can be assessed easily and all riders can get the most out of their time with us. Private lessons may also be arranged by special appointment. Horse riding is a great way to keep fit, de-stress and meet new people. 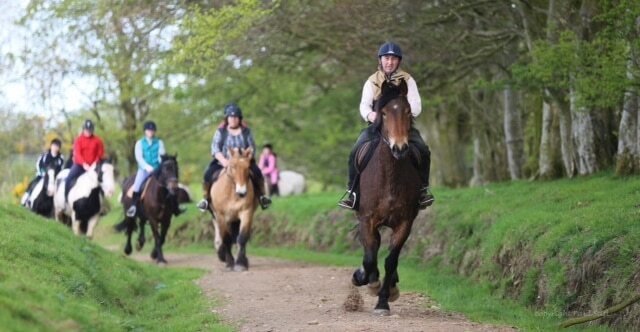 Our Adult lessons cater for all levels from complete beginners up to experienced riders. So, if you are a complete beginner who wants to try something new, someone who hasn’t ridden in years or if you are ready to progress to the next step of your riding journey, give us a call. Do you want to boost your confidence, get your riding legs back in action or would like a fast track riding course? If so, take a masterclass with our centre’s owner, Danny McKinley, as he gives you expert tuition on how to improve your grip, balance and confidence on a carefully selected horse. This will be achieved through riding on our off-road tracks and across a variety of natural terrain.